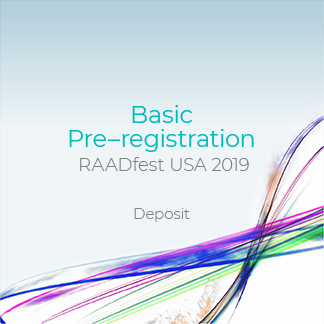 +Secure your place on a first-come, first-served basis with your Pre-registration. 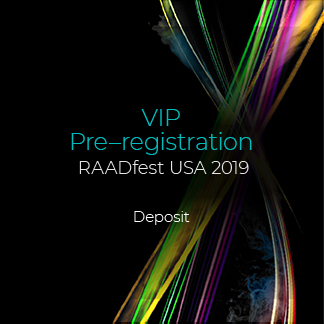 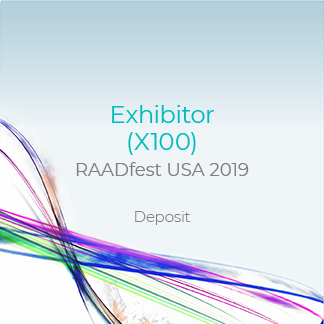 When RAADfest 2019 program is finalized, Pre-registrants can cancel for a 100% refund, 30 days from date of final venue announcement. 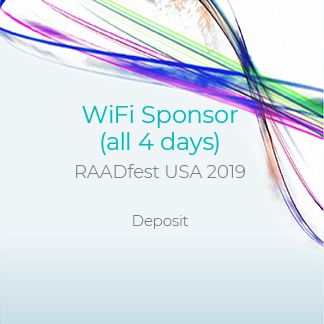 +Secure a Speakers’ slot. 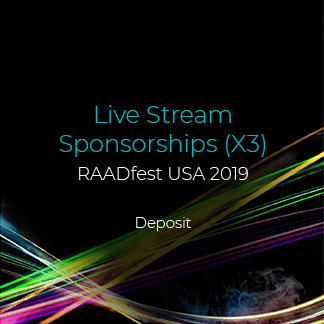 We will be expanding the venue live speakers on the RAADcity Stage and including that opportunity in all packages. Speakers are on a first-come, first-served basis and all Pre-registrant sponsors/exhibitors will be guaranteed speaking time on the RAADcity stage. 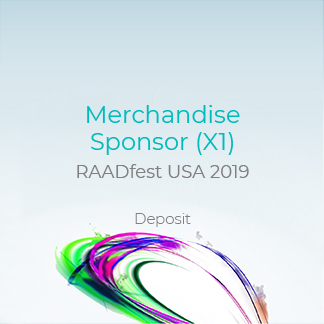 +20% off of all merchandise and live stream products this year and next year. 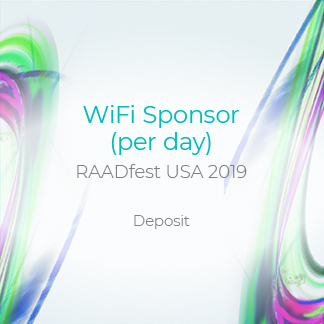 +Vote and have a voice on the next venue site. 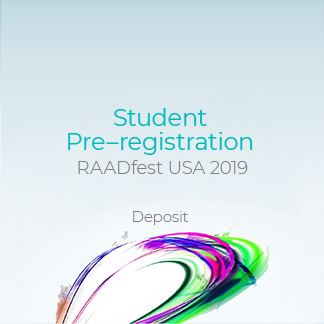 Pre-register now. 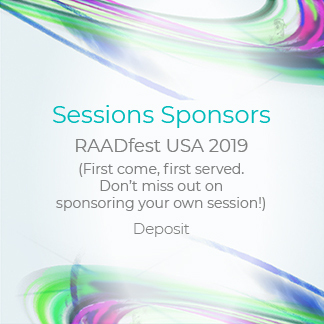 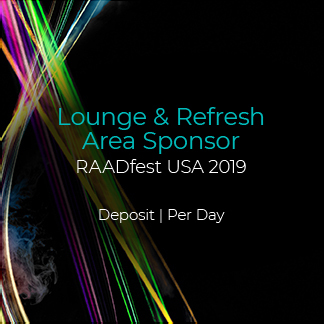 +1-minute video -- All sponsors packages (except individual session and Exhibitor) will include a 1-minute video displayed on the RAADfest main stage between speaker presentations. 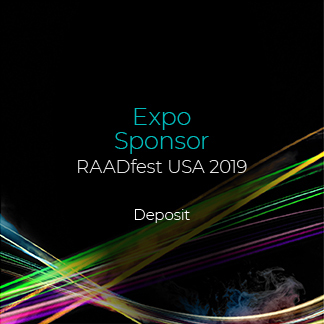 +Inclusion into more than 10 million targeted impressions between 2019 Pre-registration and the 2019 USA event.